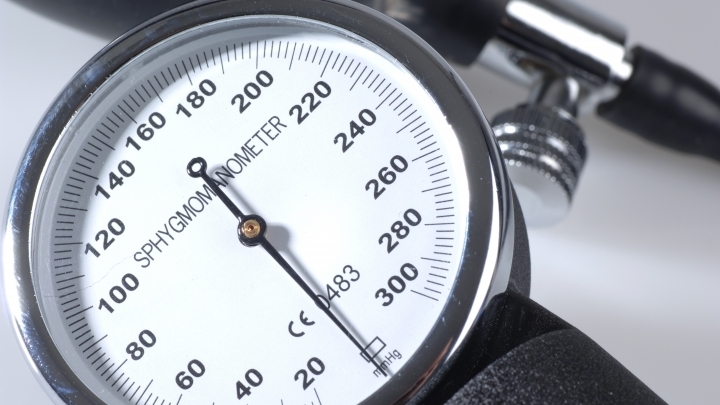 Hypertension is more than just elevated blood pressure. It comes with a set of risks that can cause damage to the heart, blood vessels and kidneys. Managing it, however, isn't as hard as you think. Allowing high blood pressure to go unmanaged carries a variety of risks including atherosclerosis, when fatty plaques thicken and harden inside arteries; blood vessels can become damaged and dysfunctional, blood clots can occur, and it greatly enhances risk for stroke and heart attack. It can even cause the heart to remodel and become fibrotic, in which heart tissue is replaced with non-functional scar tissue. This can lead to congestive heart failure and other types of heart disease. Those with hypertension also are more likely to have diabetes since the risk factors are similar. However, getting your blood pressure back on track isn't as difficult as it may sound. Often, it's just a matter of dedication and determination. Those with high blood pressure must commit to serious long term lifestyle changes to reap the benefits. But it's entirely possible for those ready to make the changes. Though dropping blood pressure requires substantial changes, even small gradual steps can be immensely helpful. Dr. Howard Weintraub, a cardiologist and clinical director for the New York University Center for the Prevention of Cardiovascular Disease, said that even a small reduction in blood pressure can reduce risk of heart attack and blood vessel damage by about 9 percent. "When we think of hypertension, we now think of it as one of a host of cardiovascular risk factors," Dr. Weintraub said. "If there is high blood pressure, we also check blood sugars and cholesterol and so forth." Blood pressure measures the force pushing outward on arterial walls. The top number, or systolic, measures pressure in the arteries when the heart beats, while the bottom number, or diastolic, measures the pressure in arteries between heartbeats. A normal blood pressure should include a systolic number no higher than 120 and diastolic number that is no higher than 80, according to the American Heart Association. About 76 million American adults currently have high blood pressure, about a third of the population over the age of 18. Over half of hypertensive patients also are overweight. Patients should be screened regularly, preferably at each check up. According to the American Heart Association, at least 20 percent of those who suffer from hypertension are not aware of it. Knowing whether you have the condition could aid in taking steps to avoid serious health risks. If there is a diagnosis of hypertension, following doctors orders for lowering it are critical. The American Heart Association reports that 31 percent of individuals who are hypertensive are not currently under treatment even though they are aware that their blood pressure is too high. "If you're dealing with the typical couch potato who has gained 20 to 30 pounds over the last decade, has a family history of hypertension, and eats too much salt and bad foods, getting them to improve the foods they are eating can be considerably important," Dr. Weintraub said. "But perseverance is a big issue. Regrettably, a number of adults we see have eaten and misbehaved their way into becoming too heavy. Then when it comes down to it there's this syndrome of weddings and holidays and weekends. Then the eight to 10 pounds they lost comes back, and they just don't bother." He suggests avoiding excessive quantities of fatty red meats. Skip saturated fats and trans fats, instead choosing fruits, vegetables, whole grains, fish and lean meats. Also avoid salt and limit sugar. In addition, individuals should exercise regularly, maintain a healthy weight, manage stress and quit smoking. It also is best to limit alcohol consumption. "Others just lose the weight that was prescribed, and then stop at McDonald's. That's why it's so hard. You're not putting them on a diet, you're asking them to change their lifestyle," Dr. Weintraub said. Many patients may need medication in addition to lifestyle changes to manage their hypertension. Most take several medications, including beta blockers to reduce nerve impulses to the heart and blood vessels, angiotensin converting enzyme (ACE) inhibitors, which prevents formation of a blood vessel narrowing hormone; alpha blockers to reduce nerve impulses to blood vessels and nervous system inhibitors, which relax blood vessels. Other medications include diuretics to flush the kidneys of excess water, angiotensin antagonists to help widen blood vessels, calcium channel blockers to stop calcium from entering muscle cells of the heart and blood vessels, alpha-beta blockers, which work like alpha blockers but also slow the heart rate, and vasodilators, which open blood vessels. Even with substantial efforts, some patients still not be able to completely lower blood pressure on their own. "Chances are that if mommy and daddy have it, you will too," Dr. Weintraub said. "Aging also plays a huge component." He noted that a study that followed patients over the age of 55 years old for 20 years found that 90 percent had hypertension at the end of the research. When the study began about half had high blood pressure. "There's only so much you can do about aging," Dr. Weintraub said. "But you can limit the number of medications you're going to need." That could mean taking two blood pressure medications instead of five or six. Hypertension drugs are usually prescribed in combination with other medications because each has a specific purpose. There isn't one fix all drug that can simply lower blood pressure. As an example, he notes that he recently put two stents in a patient's heart. The man said he would stop smoking, but that he would continue to eat whatever he wants. He said patients often feel "they've done enough," likely because they have friends with the same lifestyle but no heart disease. Those friends likely have a lower genetic predisposition, however. "You can be a thoughtful, educated advisor and guide them and give them medications, but the success will be greater if they try to help themselves," Dr. Weintraub said. Currently, there is a large push toward monitoring blood pressure at home. This can be especially helpful to already hypertensive patients, those with borderline high blood pressure and individuals with a family history of hypertension. Dr. Weintraub said that digital upper arm cuffs are reasonably accurate for home blood pressure monitoring. The device features a digital memory that allows patients to maintain a listing of all recent blood pressure readings. He suggests avoiding home wrist cuffs, which have a tendency to be less accurate. When first beginning home blood pressure management, it may be beneficial to take blood pressure readings twice a day. That can gradually be reduced to about twice a week. Make sure your arm is supported and at heart level when checking blood pressure as this can affect accuracy. This method can be particularly helpful in providing your physician with a more accurate picture of your blood pressure. It also helps to eliminate false readings since some patients may experience white coat syndrome, which causes their blood pressure to rise while they are at the doctor's office, though their blood pressure may be perfectly normal while at home. The reverse also could be true. Prescribed medications for either of those groups of patients could make them feel worse once their blood pressure is increased or lowered by too much. One type of ambulatory blood pressure monitoring has patients wear a cuff for 24 hours. It continues to accumulate measurements even while a patient is sleeping. It is suspected that in individuals whose blood pressure does not decline while they are sleeping may be at a much higher risk if left unmanaged. American Heart Association, "Hypertension" National Heart, Lung and Blood Institute, "Types of Blood Pressure Medications"